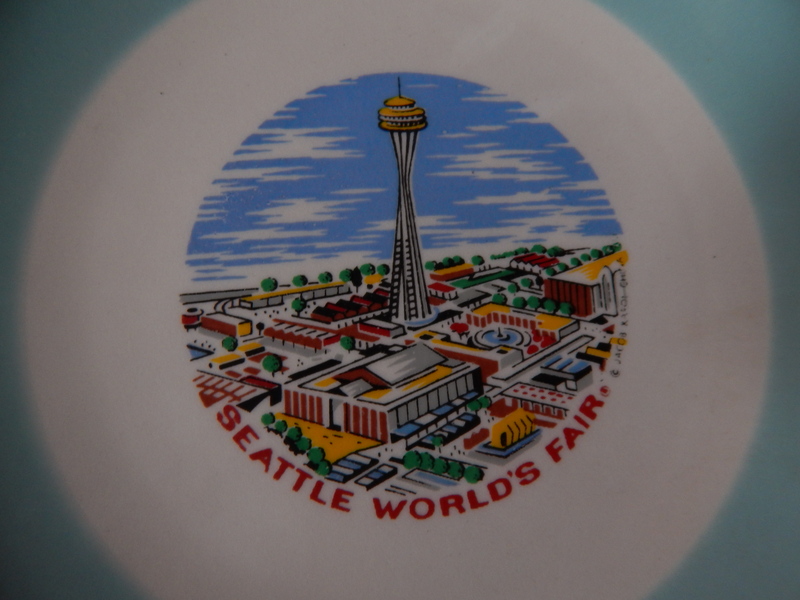 Today – February 7, 2015, I found at two Estate Sales some new Seattle Worlds Fair items. It has been a little dry finding things lately. 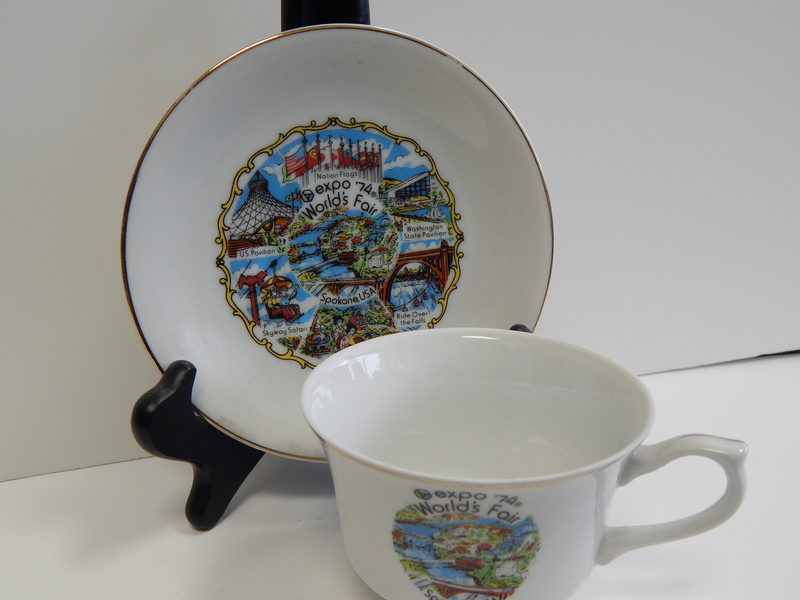 Partly due to the holiday season slowing down the number of estate sales but also families are now holding onto the memorabilia due to sentimental reason. Plus this stuff is getting more valuable now, as it is over 50 years old. First stop was on the way to the liquor store at Westwood Village. Too convenient to not stop & check out the debris of someones life. 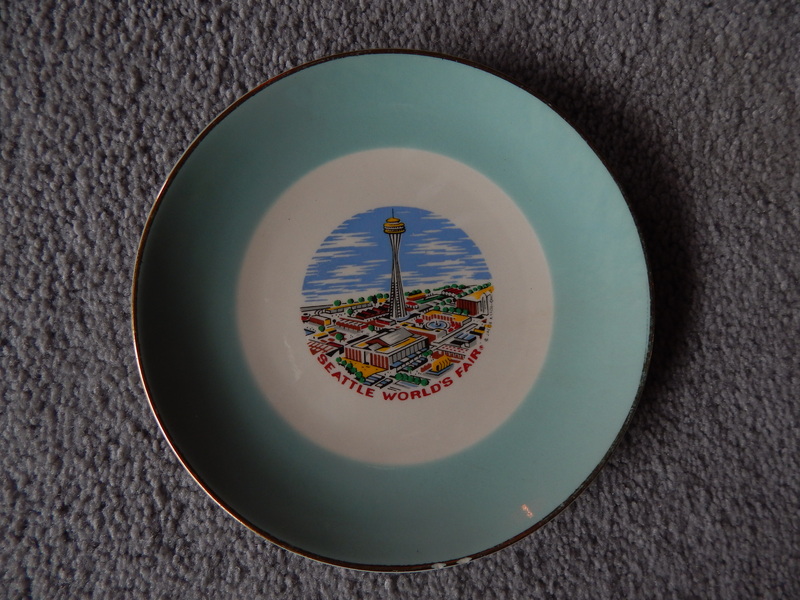 When I walk into a sale if the person greets me, I ask if they have any Worlds Fair items. This not only helps me cut to the chase but also might save me losing it to another collector. Speed gets the spoils!! At this sale both the estate lady and another visitor piped up & pointed me to this lovely little plate. At first I was a bit skeptical because the marking on it said China. 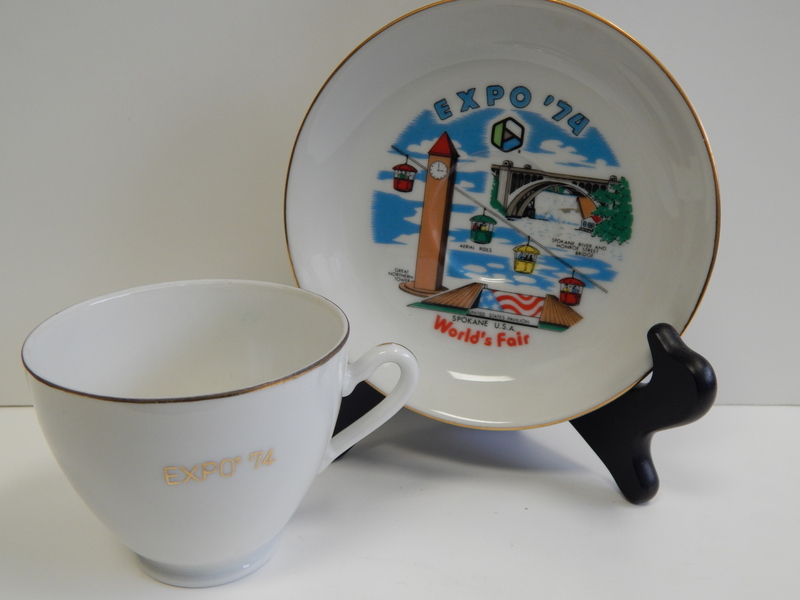 If it was imported from China, then it could not be a real 1960s Fair item. The doors of trade to Red China did not open until Nixon in the ’70s. But I bought it anyway because it just had the right look. Got home and with a magnifying glass I discovered it was really the manufacturer’s name Jacob Karoi China Co. Also, found another plate by that maker online. So….. it is real. The gold ring on the edge is slightly chipped on the bottom, so at the register I asked for a discount. Got 2 bucks off. One last note, the picture isn’t really correct. I’ll let you sort that out yourself. Next I drove to Des Moines which is just south of where I buy gas. This is where I found a 4 1/2″ x 2 1/2″ box of matches from the United States Science Pavilion. 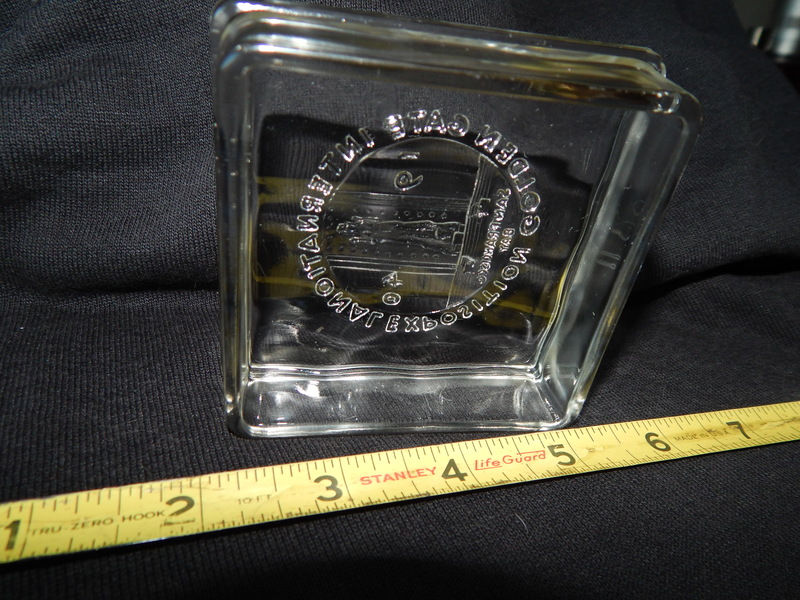 They were manufactured by Western Match Company of Seattle. Not sure if they were a give away or not but this sale had 3 boxes. Two unopened and one opened. I bought the opened one and when I got home counted the matches. The box says it has 59 barbecue matches in it (why 59?) but the box was three short. Plus the striker side had a little strike spot. You ask why I didn’t buy the sealed ones. First they were more expensive but second, I like to play with my finds. Yes I would have broken the seal anyway & then wasted the money. The last item I found at this sale is a piece of telephone history. I have a small collection of antique phones that I got from my step dad Phil. He worked for GTE and his specialty in the 70s was to convert old phones or just refurbish them. My collection ranges from old oak wall phones, a 40’s pay phone, a candlestick phone and some great bakelite 20s and 30s phones. I think I might even have an old Princess or Trimline in the box somewhere. Back to the find. 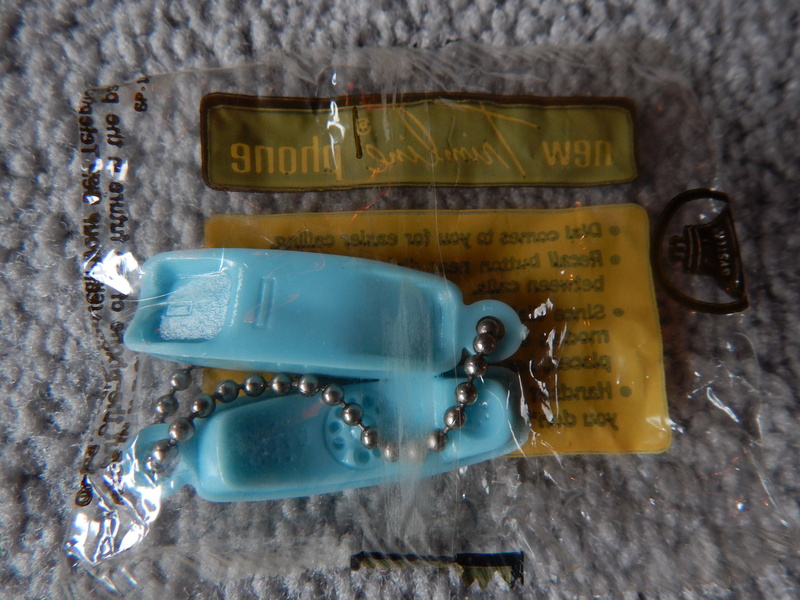 There was this little tray of old Bell System giveaways. 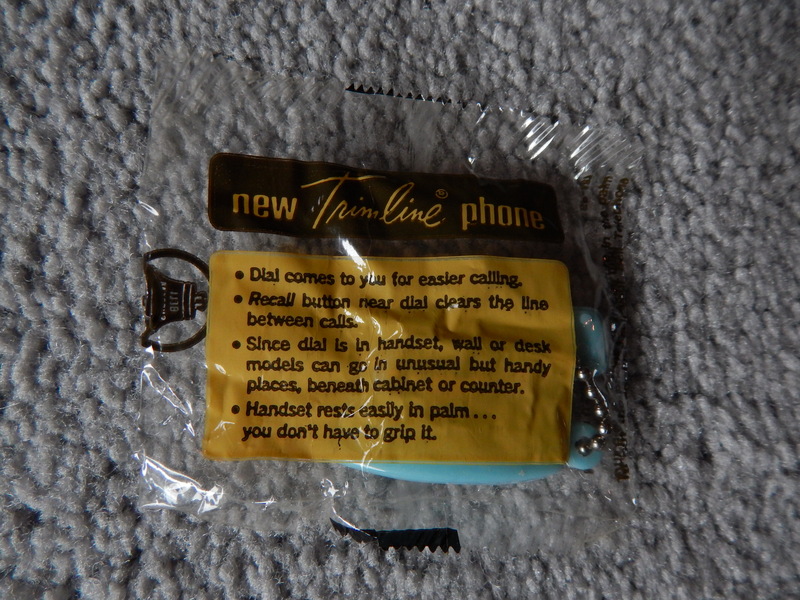 They were only a buck a piece and they contained still in the wrappers little Trimline phones. The advertisement says “new”, so they have to be from the early 60s. 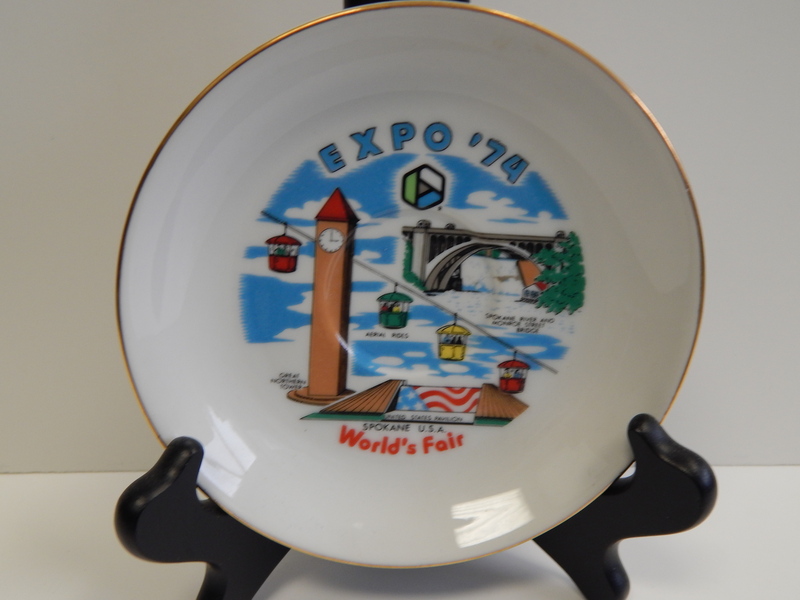 The Trimline came out around 1965 but was displayed at the 1962 Seattle Worlds Fair. There was a human size functioning example of one at the fair that I found in a Telephone museum. The mystery is…. 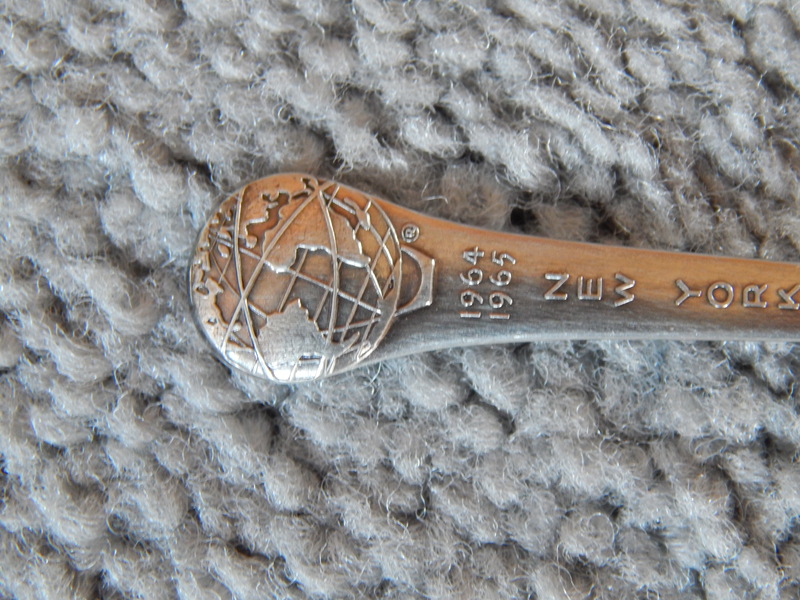 were these give aways at the Worlds Fair? May never know but here it is for your viewing pleasure.